Chinese police will take the upcoming Lunar New Year migration as an opportunity to test smartglasses with built-in facial recognition technology. According to reports from local media, the sunglasses are currently being tested at train stations in Zhengzhou, where travellers will be scanned against a database for their connection with crimes. The police say the glasses have already been used to capture seven suspects wanted in major cases, and 26 other individuals traveling under false identities. 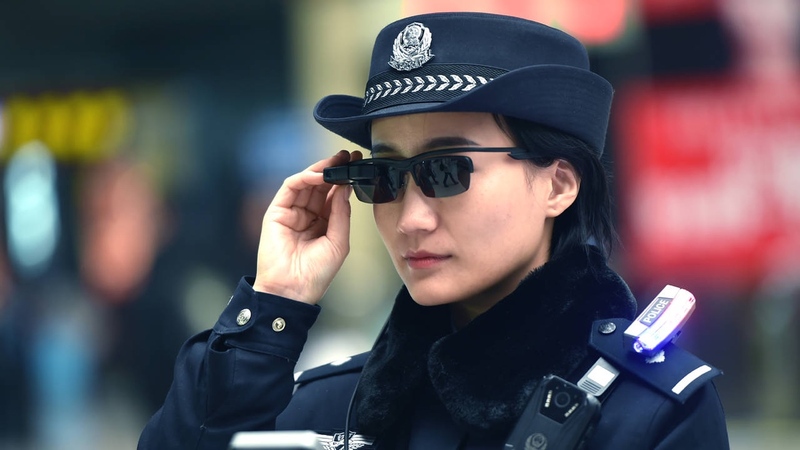 The Wall Street Journal, meanwhile, notes that the smartglasses have been built by Beijing company LLVision Technology, with chief executive Wu Fei stating that it has worked with the police to tailor the device to the force's needs. And though CCTV cameras are prevalent in the country, blurry resolutions make it hard for facial recognition technology to be applied. "[The Police have] the ability to check anywhere," Wu told WSJ. "By making wearable glasses, with AI on the front end, you get instant and accurate feedback. You can decide right away what the next interaction is going to be." LLVision says its device is able to scan individuals from a pre-loaded database of 10,000 suspects in just 100 milliseconds, though just how accurate the glasses are in use is said to vary based upon the surrounding environmental noise. Naturally, there's also privacy concerns, since the technology gives fresh surveillance powers to the state. With the Lunar New Year representing the largest human migration in the world, it's easy to see why the technology is being debuted around the event. However, just how successful it proves to be remains to be seen, and we have no doubt there'll be continued debate regarding privacy.